Richard Graeff has been involved in some type of martial arts since the age of 5. He also wrestled in high school and at the collegiate level. Holds the rank of Sandan (3rd Degree Black Belt) in Matsubayashi Shorin Ryu. Also, trained boxing, muay thai and judo. Once he began training jiu jitsu, he quickly became addicted! World Champion (2012) and 2-time World Bronze Medalist. 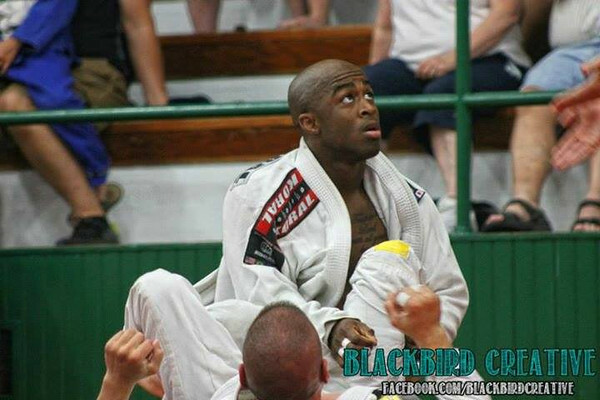 Rich also finished the 2012 year as the number ONE purple belt (Senior 2) in the IBJJF rankings. He currently is a brown belt under Nova União black belt Mike Rethmeyer (under Leo Peçanha and Wendell Alexander) and is ranked #2 at brown belt. Rich expects big things this year as he works toward his black belt! You will surely see him at all the big tournaments...Pan Ams, Brazilian Nationals, Worlds, etc!!! A big thank you to talented BJJ Photographer, Preston Smith for allowing me to share his photo until I can take one of my own. Please check out Preston's web site below and show him some support! CLICK TO VIEW PRESTON'S WEBSITE! K.C. began studying Jiu Jitsu in November 2007 as a way to supplement his Summer activities, including skydiving. 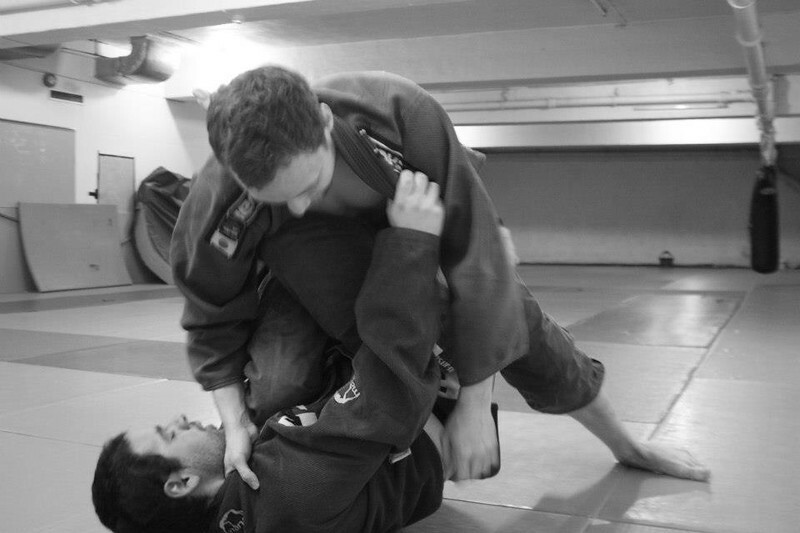 He quickly became addicted to the discipline and challenge of Brazilian Jiu Jitsu. After entering his first tournament and getting a Kimura submission in his first match ever, K.C. knew without a doubt this was for him. A new lifestyle was born. In January, 2009, K.C. trained under Professor Michael Chapman at Impact Jiu Jitsu earning his Blue Belt. It would be just 2 years later in 2011 that K.C. would earn a bronze medal at the Pan Ams in his Absolute division. During the Bronze Medal match K.C. suffered an injury. He persevered through the pain for 90 long seconds to win the match by points. By November of 2011 K.C. had earned his Purple Belt, again under the tutelage of Professor Michael Chapman & Professor Armand Debruge. In 2012 K.C. would return to the Pan Ams. This time he was determined to finish what he started the year prior. He brought home the Gold medal from his division. He would go on to repeat this feat in 2013 to remain the Pan Am Champion. In October 2013 K.C. received his Brown Belt from Professor Michael Chapman & Professor Armand Debruge. K.C. is a regular Coach at Impact Jiu Jitsu. He loves sharing the knowledge he has gained and his passion for the art. Most importantly, K.C. believes Jiu Jitsu should be fun. I Began training Jiu Jitsu in the San Francisco Bay Area in 1998. I immediately fell in love with it and continued to train for over a year until a neck injury forced me off the mats. When I moved to Oregon in 2000, I joined Straight Blast Gym in Beaverton (currently Impact JJ). Training there was marred by injuries and so I decided to take time off to get healthy. After taking a few (too many) years off I decided to get back to it. Team Quest Fight Club, at that time was arguably the top MMA gym in the country/world and I lived 20 minutes from it. I decided to sign up at Quest and I threw myself into training and competing. At the time Quest did not offer any gi training so I trained in Submission Wrestling, kickboxing, and MMA. I entered my first Grappling tournament in 2005. I didn't do very well in that one, i actually remember tapping out in a loose triangle. 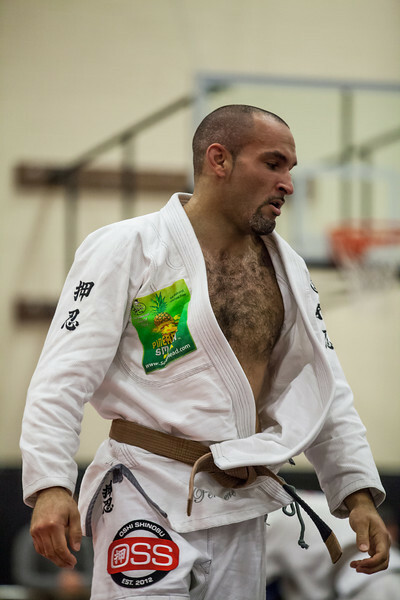 Fabiano Scherner came on board in 2008 and began teaching Brazilian Jiu Jitsu at Team Quest. Since then I have focused entirely on BJJ and sub wrestling. I am currently a brown belt under Fabiano Scherner at Gracie Barra Portland. Dom Hoskins, San Diego, California. "Originally from the San Francisco Bay Area, Dom began his training under Cesar Gracie student Jon Santos in 2006. Already competing in football and track and field at the collegiate level at the time, Dom realized jiu jitsu was the perfect outlet for him, so he hung up his football pads and track spikes for good in order to pursue the art even further. In 2009, after plenty of local tournament success and some MMA experience, Dom moved down to LA to finish the pursuit of his Merchandise Marketing Degree at the Fashion Institute of Design & Merchandising. There, he trained under at Robot BJJ, an affiliate of Lotus Club BJJ, under the tutelage of Giva Santana, Tim Peterson, and David Telfer. 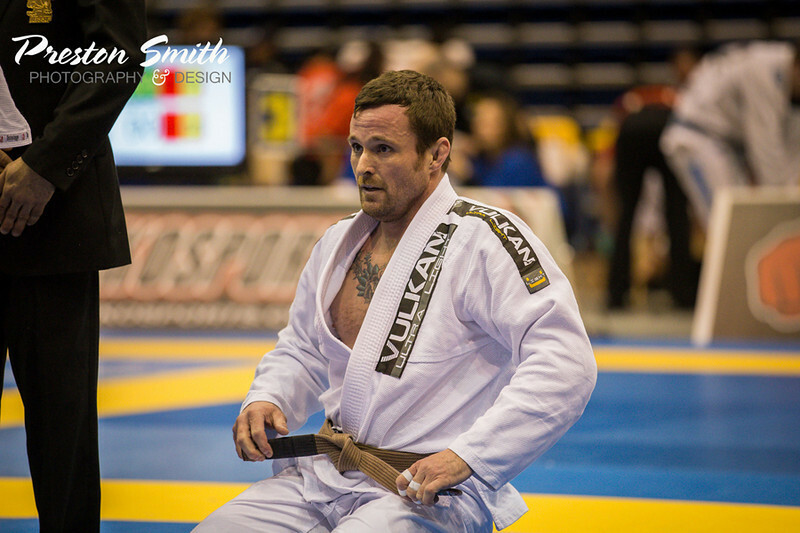 He enjoyed more national success, taking home medals from various IBJJF tournaments and also graduated from FIDM! In 2011, Dom relocated to San Diego in part because of his job but to also further his BJJ education in one of the meccas for the art. He currently resides there and trains/competes for BJJ Revolution Team under Rodrigo Medeiros, Stefano Aguiar, and Chris "Cowboy" Kelbaugh. The training has elevated his game even further and Dom has found even more success at the national and international levels. He currently teaches kids and beginners classes at the school, and gets his own mat time as much as possible. Look for this name to continue to make podiums as he continues towards his goal of a world championship! If you would like to contact Dom, shoot him a buzz at dom.hoskins@gmail.com or his Facebook page, www.facebook.com/domhoskins. Below is a list of his accomplishments:"
Philip is from Huntsville, Alabama. He began training Jiu Jitsu in early 2008. After the first day he was hooked! Throughout the years Philip has trained under Helio Soneca, whom he received his first three stripes before being re-stationed by the Army; Marcello Monteiro and now Gracie Barra. Professors Kevin Smith and Shawn Joseph of Gracie Barra gave his latest purple belt stripes. Philip is a very humble person; he works hard and competes as often as possible. He represents his association with pride and is looking forward to doing the same for Kristensphoto! BIO: I started my martial arts journey at the age of 21, at Northwest Martial Arts in Eugene studying under Harald Utterback and Ryan Kelly. My journey came a halt because I chose partying and making poor decisions over my commitment to BJJ. But in 2009 I stumbled into a small gym in Tigard called Next Level MMA, and started training hard in Muay Thai and No Gi BJJ under Coach Greg Thompson and Jeremy Wijers. 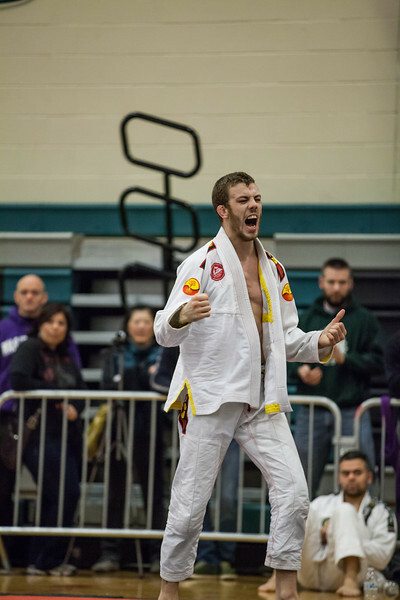 After a couple of years of training there, the Gi was brought back into my life by New Breeds Eben Kaneshiro and Kurt Shrout, and I started competing. Unfortunately the commute to Next Level was too much and I was forced to relocate. At a tournament I ran into a longtime friend and training partner Professor Ben Baxter, and he informed me of a gym that he and professor James Puopolo owned, Salem Keizer BJJ affiliated with Rafael Lovato Jr and Riberio Jiu-Jitsu. Being so close to home I jumped right on it, and right away they welcomed me with open arms and I had found my home in 2012. They pushed me to compete as a white belt and after taking 1st place in every competition that year, I was promoted to blue belt. I am currently on my 4th stripe as a blue belt and plan on competing this year in local tournaments as well as the 2014 Pan Ams and 2014 Worlds in the Adult division. 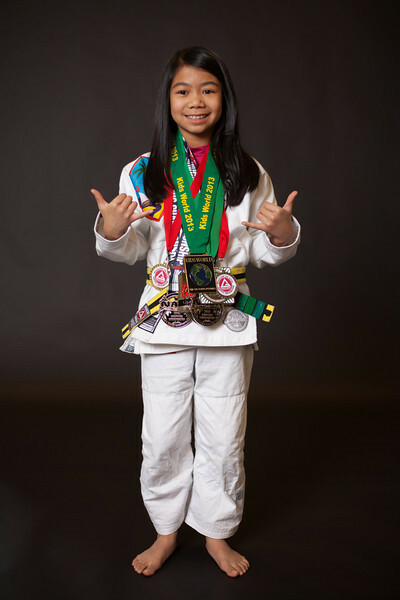 I am a proud sponsored athlete by Kristen Photos, Max Muscle of Beaverton, and Wilsonville Toyota. I am truly blessed to have the support of my family and BJJ community, and I could not ask for a better Professor, James Puopolo who is a Black Belt Word Champion. My BJJ journey will never end, Thank you Everyone. Steffen started training martial arts at the age of 7 beginning his journey swith Karate, and moved on to boxing at the age of 10. He trained boxing for 10 years, but then grew tired of striking. After trying several Martial Arts Steffen was introduced to BJJ through Andre Porto de Carvalho and quickly fell in love. He trained under Fievel (his nickname) at Frontline Academy for over a year now. 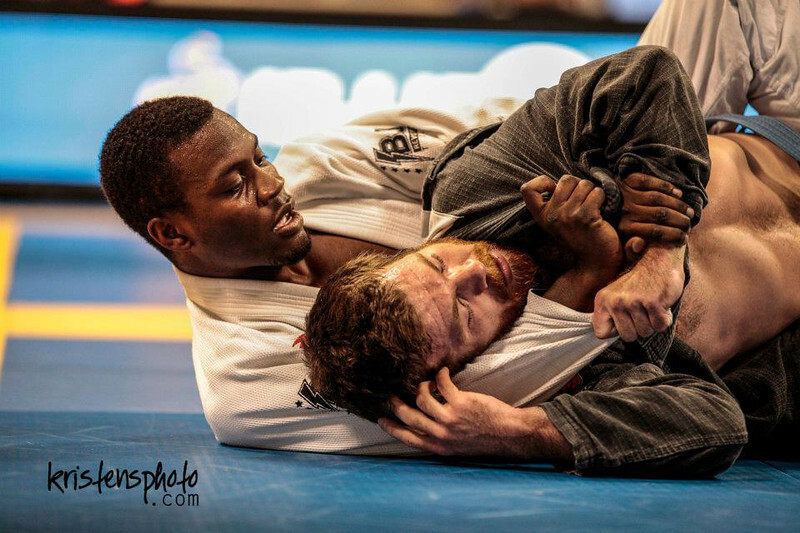 After receiving a degree in Engineering in August he was relocated for work and now trains under Felipe Mota (Gargamel) at Roger Gracie academy. Steffen has a short, but impressive competition record as he began competing in 2013. Competition has give him the opportunity to travel to countries like Sweden, Denmark, Suomi and various cities in Norway. Austin is a 14-year-old Brazilian Jiu Jitsu practitioner. He was born and raised on the beautiful island of Guam. He began training BJJ in 2006 at Purebred Jiu Jitsu and earned his yellow belt under Professors Stephen Roberto / Mike Fowler and fell in love with the gentle art. He is currently a green/white belt with Gracie Barra Federal Way under Professors Shawn Joseph / Kevin Smith. His dad is in the Army and his family moved to Washington State in 2009. Austin has been tearing up the NW scene medaling at every local event. 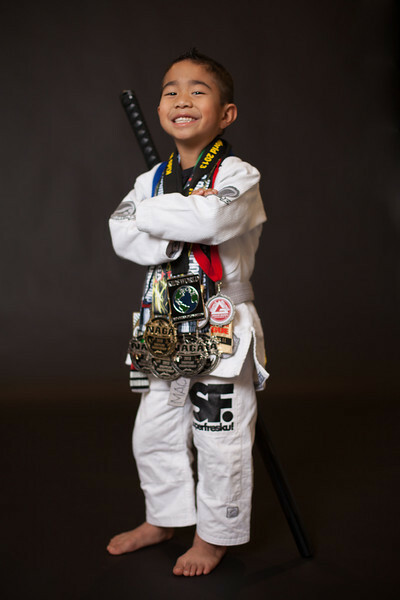 He has recently earned a gold medal at the Pan Kids tournament this past February and more recently won 'Best Technique' at the Adamson Bros invitational Tournament. Please give Austin a LIKE on his FB Fan Page! Jase was born in Seattle, WA. His family and roots are from the tiny island of Guam, where respect is a core cultural value that we incorporated into his everyday life. At the young age of 5, it’s very clear that Jase understands these values. Jase just started kindergarten this year (2013) and absolutely loves to go to school! He has tried many sports at his young age: soccer, t-ball, basketball, and wrestling. But his favorites are jiu-jitsu, soccer and basketball. Jiu jitsu was present in Jase’s life since he was just 2 years old. When his dad began to coach the kids program, Jase would always come with him to class and watch his sister, who is now a yellow belt, and the other children learn jiu jitsu. One day (he was 4 years old by then) his dad asked him if he was ready to come on the mats, he hasn’t stopped since. Jase’s very first tournament as a 6 year old was at the Revolution tournament in Nov 2013, where he placed gold. Next up for Jase is the Pan Kids 2014 tournament in Carson, CA. My name is Jayda Ann Macatangay and I am 10 years old. I was born on the island of Guam and moved here right after my 1st birthday. I started training Jiu Jitsu in 2011 and I love every second of it! I am currently a yellow/black belt and earned that in May 2012 from Prof Kevin Smith and Prof Shawn Joseph. I train with my Dad, brother and lots of family at Gracie Barra Federal Way. I love to compete and always look forward to learning from these competitions. I hope to show other kids, especially girls that Jiu Jitsu is for everyone. My favorite Jiu jitsu practitioners are: Prof Fabiana Borges, Mackenzie Dern, Tracey Goodell and Alyssa Wilson. And my favorite mentors are my Coach/dad Jeff and Coach David Veloria. In May I competed at the Sub League Qualifier 2 tournament and earned a silver medal. I am looking forward to competing in NAGA in 2 weeks and my first IBJJF Pan Kids tournament in 2014. Now that 2013 is officially over, I am excited for everything I will be able to do in 2014. In 2013 I was able to accomplish many goals. I competed in 9 tournaments this year. My first tournament in 2013 was the Ground Warrior Submission Challenge on January 26th. I got 4th place at that tournament which was in Portland, OR. I got 2nd place at Subleague qualifier 2 on May 4th. I placed double bronze at Seattle NAGA on May 18th. I also had the chance of competing in the Adamson bros. in- house tournament on April 27th. I earned a bronze medal at the Revolution on July 14th, one week later I competed at the Kids World tournament and earned a G0LD medal! On Sept. 7th I competed in the Oregon Open and earned a silver medal in a bracket of 4 kids. On Sept. 28th I earned three silver medals at Portland NAGA. 2013 has been a great year full achievements and goals. Now that 2014 has come I’m excited for everything that comes this year. I am especially excited to compete in my first Pan Kids in California in February. 2013 has been a great year!! !